The key to having a beautiful camo wedding is to be subte with the use of camo! The camo print on fabric is very busy, so you will want to use solid colors for your camo wedding decorations and then have a hint of camo. The colors for camo are dark greens and browns. 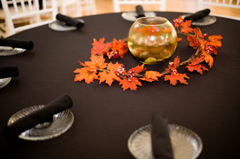 Starting with your tables you could use cream linen and then have a color slip cloth in either chocolate brown or dark green. As your centerpiece go back to nature. 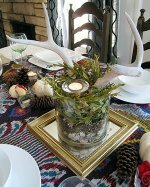 You could use silk leaves scattered on the table with glass votives, you could trim the glass votives with camo. For true back to nature you could have a camping lantern as your centerpiece, the old fashioned kind and then have your silk leaves around the edge. Add extra hints of camo tied around the napkins, you can get mossy oak ribbon. Another simple but beautiful centerpiece would be to have a glass bowl filled with dark green glass and then have ivory floating candles. To add extra decorations to your room and in keeping with your theme have large branches secured in pots and then add sparkly lights (Christmas tree lights) to create a magical feel to the room. 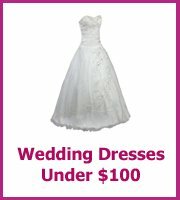 Follow the link if you are looking for camouflage wedding dress ideas. Your bridesmaids would look great in dark green or chocolate brown and then have the groomsmen in the same color vests. Your groom could be in a mossy oak vest if you wanted him to stand out. Good luck with all of your plans. If you have done this w/ camo. I would love some pics. I'm also having a camo themed wedding in May. We are stuck on any more ideas. We have just put a hint of camo in the actual wedding,Then did a woodland theme at the reception. Hey check out ebay for all kinds of MOSSY Oak Camo wedding invitations. I'm almost finished planning out a camo wedding for my cousins that's in less than 2 weeks now. Instead of normal glass votives, we took 3-4" slices of birch logs and bored out a hole on one end large enough to drop tea light cangles in there. I also found glass leaf shaped votive holders. The bridesmaids are all dressed in chocolate chiffon and the groomsmen are wearing black suits with camo (Mossy Oak Breakup) ties I had made. The bride is wearing white dress, but her bouquet has white, ivory & chocolate roses and we're using white, chocolate, hunter, and camo ribbons (ONLY available at Snydercreek.com). The flower girls pull everything together. I found white dresses with a balloon of tulle with rose-petals in them. I removed the petals and used silk leaves in them and made a sash out of the camo satin (also available at Snydercreek.com). 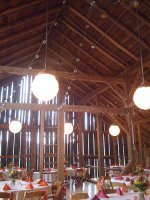 They will be scattering a mix of silk leaves and ivory rose petals from natural wood baskets. I'm also making the ring bearer pillows out of the satin. Decor is simple...leaves, ivy, twigs, branches, etc. And to be honest...the best deals you'll find will be on EBAY! 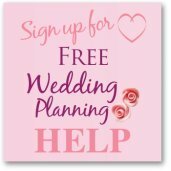 Use your imagination and ask crafters for suggestions. If all else, I can be reached via email at bellsouth. I wish you LOTS of luck!! !